The Yorkshire youth league involves a series of mini-tournaments every month, with one team promoted and another relegated from each division. The boys u16s have now won their first two tournaments of the season, playing some slick passing hockey and showing nerves of steel when it matters. 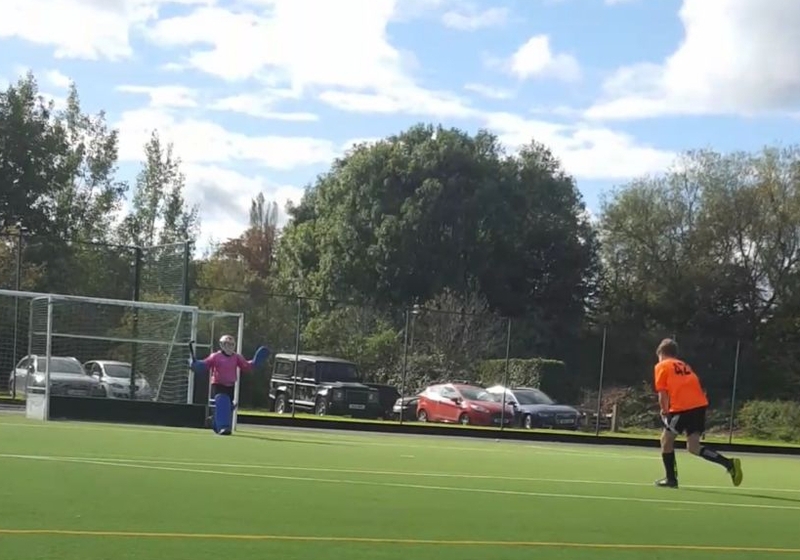 In September, the boys began with a cagey 1-0 win over our hosts for the day, Ben Rhydding “B”, thanks to a Charlie Sutton chip past the keeper’s left ear. Charlie and midfield dynamo Joe Greer have stepped up from the u14s whenever required, and look totally at home in this age group despite often much larger opposition. The second game was another tight squeeze, against Chapeltown, until Finlay Holden brought the ball down out of the air and rolled it under the flailing keeper: 1-0 again. Both sides in the final fixture had maximum points so it was a clash of the titans against Rotherham, augmented by players from the now defunct (but very talented) Sheffield Bankers u16s. Everyone expected a close contest, but the boys had other ideas and ran out 5-0 winners with another goal from Finlay, two from Seb Wilkinson (voted man of the match) and two more from Dan, our returning centre forward. So – promoted to Div 4, and in October we were up against stronger sides, although we were safe from relegation since Sheff Hallam didn’t fancy the trip to York and stayed at home. In the first match, a hard-working Northallerton side gave us the opportunity to self-destruct, which we nearly did, conceding a p-flick (missed) and doing some comedy defending which really wasn’t that funny since they scored from their only real chance. Fortunately Paddy had brought his big stick, and drilled an unstoppable shot into the bottom corner, which was the cue for a period of strong Adel attacks, resulting in a well-taken goal for Charlie high into the net across the keeper, and a richly deserved, nicely finished strike for Ben Wheatcroft, his first (of many we hope) at this level. 3-1. In the second game, against Harrogate B, the tempo was high and so were some the tackles, as both sides showed they could play but struggled to find any real fluency against well-matched opponents. Finlay claimed a goal for a deflection through the keeper’s legs, but neither umpire saw the touch and so it stayed 0-0. Because they had identical records, the teams agreed to an Olympic-style penalty shuttle shoot-out to decide promotion. Charlie sent the keeper the wrong way, 1-0. There should be a video clip here if I can master the technology. Harrogate did the same, 1-1, then Ben Carlin came next and smashed it though the keeper’s legs, 2-1. At last, time for our x-rated goalkeeper Sholto to restore his reputation, showing great agility to put the striker off and force a miss – advantage Adel. Patrick Haywood coolly slotted number three, and after another Harrogate goal, Simon Littler converted to make it 4-2. All the pressure was now on Harrogate’s striker, up against the might of Sholto, and he missed, giving Adel a 4-2 shootout win.